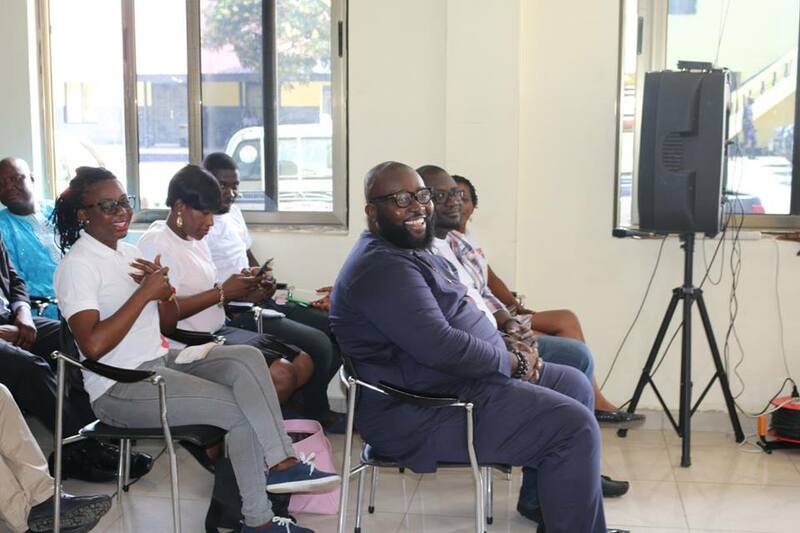 Kasapa 102.5 FM, an Accra based radio station which is one of the several units of the media giant run by the Excellence In Broadcasting (EIB) Network has rewarded Constable Joshua Azuri, the policeman who won the praises of Ghanaians after he was seen directing traffic in heavy rains at Madina Zongo Junction in Accra. He became a social media sensation after he defied the downpour and kept the traffic moving. 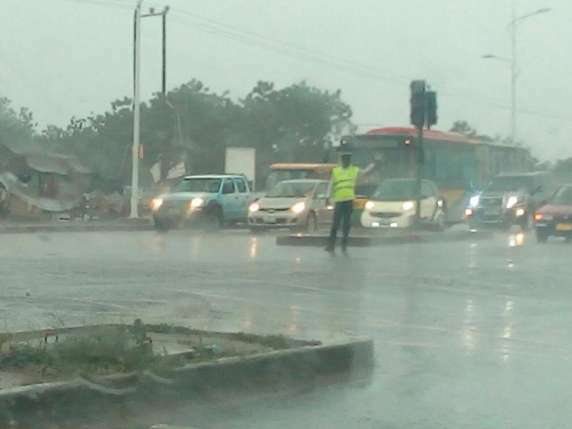 Constable Azure was seen in a picture wearing his yellow reflective gear over a white shirt and black trousers in the heavy rains conducting his official duty much to the admiration of many Ghanaians. Several suburbs of the capital, was on Thursday April 21, 2016 hit by a heavy downpour. The intensity of the rain made it almost impossible for a driver to see beyond his windshield, but Constable Azure braved the weather to do his job. Photos of the unidentified policeman went viral on Facebook and Twitter, in celebration of a rare occurrence as most police officers usually abandon their duties at road intersections the moment it starts raining. 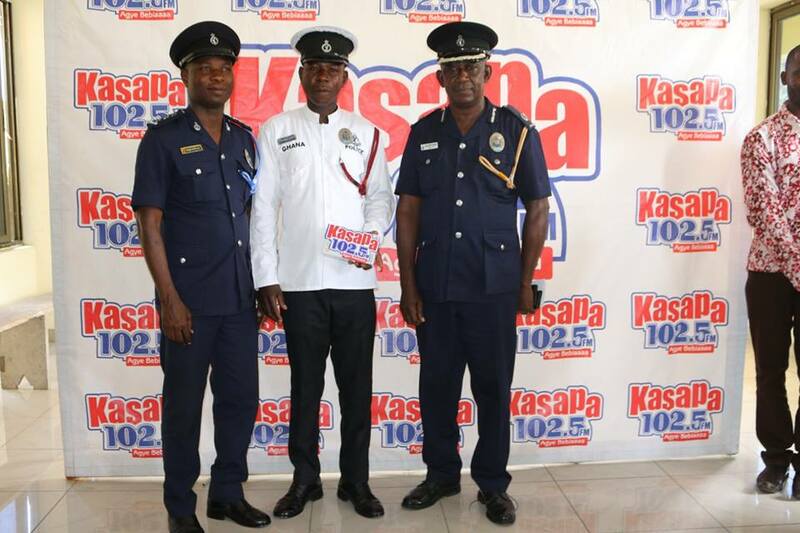 Host of Kasapa FM’s late night show Yenda oo Yenda, Kwabena Antwi Darko, aka IBK who was impressed by Constable Azure’s conduct, committed to ensure that the junior police officer is celebrated and rewarded for his exploits in order to serve as a morale booster for other police officers. Management of Kasapa also graciously bought into the idea to reward Constable Joshua Azure. 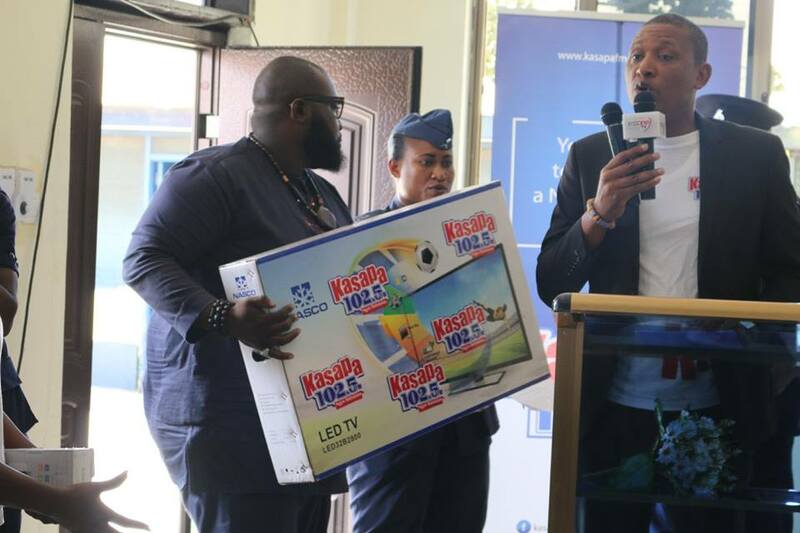 The Business Manager of Kasapa FM, Patrick Amaning presented Constable Joshua Azure, with a 32 inch LED TV and a smart phone, while his station (Madina Police station) received a desk top computer at impressive ceremony at the Greater Accra Regional Police Command on Thursday morning. He commended Constable Joshua Azure for his good work and encouraged him to continue to serve Ghana with dedication as he is currently doing. 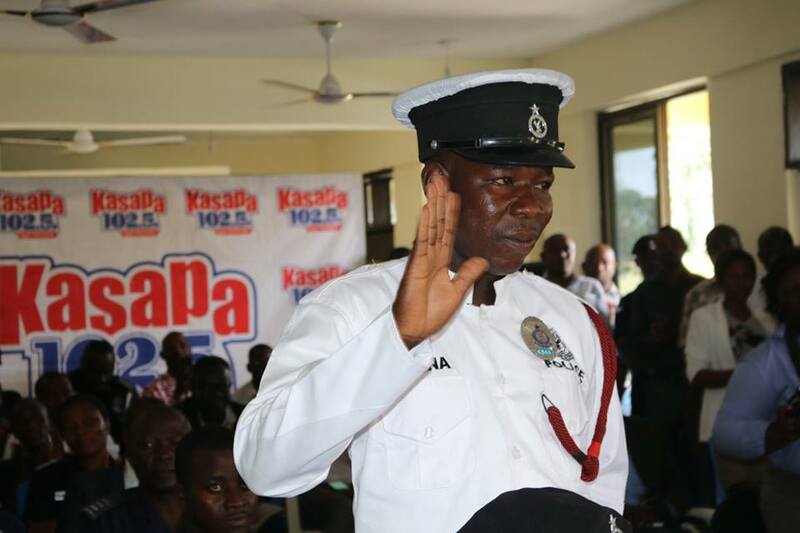 The Director General of the Motor Traffic and Transport Department, ACP Patrick Sarpong urged police personnel to draw lessons from Constable Azure’s experience and be guided in their actions as the public are always watching the conduct of police officer. 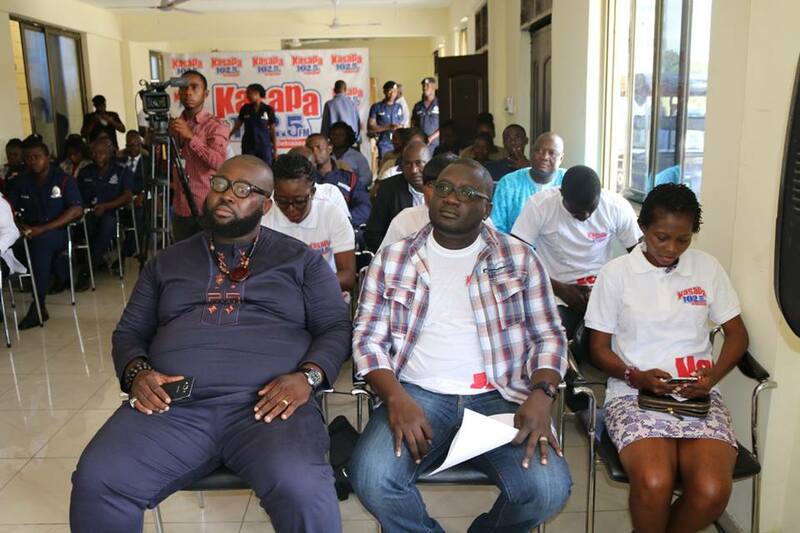 He expressed gratitude on behalf of the IGP, John Kudalor and his own behalf to Kasapa FM for the kind gesture.